Limousines make for a wonderful addition to any big event, be it your children’s prom party, your best friend’s wedding or for the times you just want to spoil yourself and some of your friends with a memorable night in the city. In order to ensure that the event is a good one, you have to take safety into consideration. When you hire a limousine, the last thing you want to experience is a breakdown on the road. It could be that or some other problem that can spoil your event. Since nobody wants to ruin the moment, especially you, if you are among the organisers or the main person in charge, you need to follow a few tips. Be careful with the limo hire company you pick – whenever you want to rent a limousine for your special event, you must be careful, because the decision which company and what limo you hire from them will directly impact the outcome of the event. In the unfortunate event of a breakdown during a wedding event for example, the schedule will need to be readjusted and additional measures taken to ensure the smooth flow of the event. The worst thing about such a situation is that it affects not just the people in the limo, but also guests. This has the potential to cause stress and turn a nice event into a disaster. One way to avoid this is to invest a little more time in researching limo hire companies. Selecting a reputable company can surely save you a lot of troubles. Look for a company that hasn’t received major negative feedback in the past. Search for references from previous clients and pay attention to good reviews. A good limo company is your best bet against inconveniences. Seek a professional driver – always look for a person with professional attitude and experience. This person must be someone who has some skills of a mechanic in order to minimise the negatives in case of a problem. Apart from the driver, you can also get a mechanic to inspect the vehicle before the event, to ensure everything is ok. Assure the car is in top working order – when you first browse the limousines for rent, make sure you pick one in top condition. Again, inspect all vehicles and ask for affirmation from the company that proper car checks have been made and that the car doesn’t have a problem. 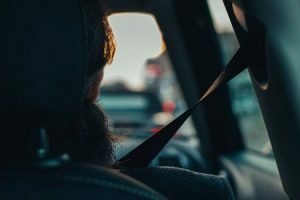 Take safety measures yourself – apart from picking a good company, vehicle and driver, you must ensure that passengers and yourself are secured. Limousines are fairly safe vehicles and come equipped with a lot of safety mechanisms. However, you should also ensure any passengers wear their seatbelts at all times. Don’t distract the driver on your journey to the event. Don’t stand up and switch seats when the car is moving. Children should be kept under control while in the vehicle. Don’t smoke inside, even if allowed – this will keep the car fresh and comfortable. By following these safety tips you can ensure that hiring a limo contributes to a wonderful experience. The aforementioned tips guarantee a smooth ride and a stress-free event.